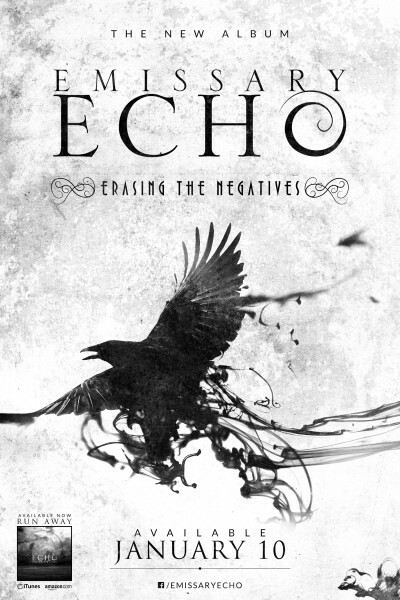 Newly formed Emissary Echo releases their debut album, Erasing the Negatives bringing back early 2000’s rock. However, they are seeking a new vocalist and can be contacted through their Facebook page and Emissaryecho@gmail.com. While it’s not the ideal way to launch a record, Emissary Echo continues on with Preston McKay (rhythm guitar), Justin “Steen” Kraft (lead guitar), Mark Kuntz (bass), and Cory Zimmer (drums). “Pushed Down” opens the record at full force. The chorus is beautifully catchy and will sound great live. The break is hammered down on guitar, bass, and drums, and then eases off into verse two. Overall, a good opening track. “Run Away” is their first single off the record, radio friendly and catchy, the rhythm from drummer Cory Zimmer keeps the track progressing. The beginning has a syncopated tempo, it catches you off guard but then brings to a recognizable tempo there after. One thing about this track is how clearly you can hear each contribution from the musicians, important and yet unique. “Infected” is darker, but also fun at the same time. After the upbeat opening, the first verse brings the tempo to almost a complete stance. The bridge builds into this brilliant chorus shouting “Hey! Hey! Hey!” and gets any listener going. “Frail” is the track that begins to ascent to the climax of the record. It’s a track anyone can relate to, which is important because most of us have been in a position where we have felt frail. It’s fluid, one of those sit back and think tracks. “Vengeance” is the full scale of music, from top to bottom. The creativeness of this track is refreshing. It’s not predictable, and the listener doesn’t know where it’s going. But, after a few spins of the track, it becomes more of an anthem. The growling vocals blend well with the grinding notes in the chorus. “Erased” begins with a deep opening, and truly defines this band. They speak through their music and force the listener to feel. In today’s popular music, there are songs that make you feel, but the musician rarely makes the connection with its audience. This track makes that connection. A staccato guitar riff accentuates the verses, which is transitioned to the legato chorus, via the crafty cymbal work. You feel apart of this song. “Defend” is so simple and yet so intricate. The tempo could be slightly faster on this track, only because the theme is defensive. 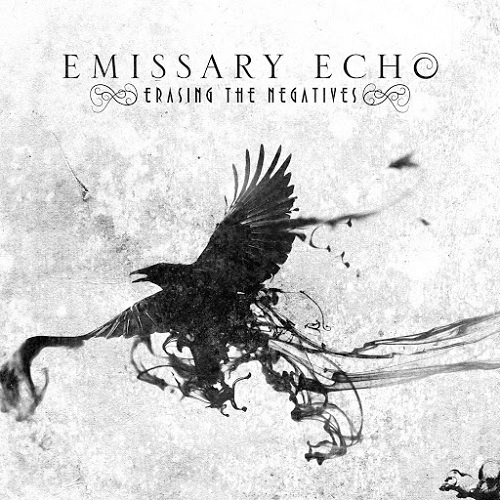 The last half of the track brings out Emissary Echo’s acoustic side with a break down, reinforcing the band’s talent. “Let Go” is the last track on this album brings the listeners journey to a close. It’s uplifting and inspiring and, like “Defend” showcases the acoustic side throughout the song. It brings the album to a full completion and leaves you wanting more.